If you find yourself in a situation where you've done the work for a client and they refuse to pay, you may need a builders lien lawyer. Here are 10 ways a builders lien lawyer can help you sort things out and get your money from a client. Let's say you just finished a $500k improvement job on a home in Alberta, but the wiseguy owner just lost all his money trading bitcoin. Now you have to figure out how to get the money back for all the supplies, labour, and time you just spent. You do some research, and you find out there's something called a Builders Lien. Carefully recording all the proper information and supplying sufficient documentation, you submit a Claim of Lien to the Land Title Office. Uh oh. Several days later, you hear back that you didn't supply sufficient information about the location, nor do you have any time left to file. The truth is that errors and omissions are historically the biggest reason why legal disputes in construction lead to a loss, so it's no wonder that mistakes could happen when claiming a lien. Enter the builders lien lawyer. In this article, we're going to show you ten reasons why a builders lien lawyer will help you say goodbye to all the tricky paperwork and secure your money back before it's all gone. For starters, running a business consumes your life. When you're out there grinding, you're in the world of action and transaction, not intensive paperwork, deadlines and legal theory. How can you expect to have the time to sort all of this out on your own? The Builders Lien Act of Alberta has 51 pages in it alone, each page filled top-to-bottom with unique vocabulary entries and their specific regulations, references, and exceptions. And those exceptions are mind-boggling, by the way. Though there are more than you can count on all your fingers and toes, one popular misconception about builders liens is that you always have 45 days from the time the job was completed to file. This information is wrong in two ways. The clock doesn't start ticking when you complete the job; it starts when the last services, materials, or wages were provided (i.e., when any last "certificate of completion" was issued). For jobs involving minerals or resources like oil, you have 90 days to submit the lien claim. Also, the definition of "owner" in the Builders Lien Act is weird. There may be more than one person you need to lien. Our lawyers have studied all these little rules over and over again in their many years of practice and have appeared at all levels of Court in Alberta including the Alberta Court of Appeal. Dont't waster your time - It's much better to lien on someone you can trust. (No pun intended). Even if you manage to file a lien on your own, you're not guaranteeing that you get your money back unless you're prepared to go to court yourself. Not long ago, the Supreme Court ruled that if you don't get a lis pendens registered on title within 180 days of filing your lien, the lien disappears. A lis pendens (in Latin, literally "hanging litigation" or "pending lawsuit") is essentially a notice to all involved parties that litigation is under way in the construction site ONCE you have filed a Statement of Claim with the Court of Queen's Bench. Once you get the Statement of Claim and your lis pendens, you have then have a limited amount of time to move the action forward. A builders lien lawyer can help facilitate every end of this process, from issuing the Statement of Claim to the actual civil suit. A few months to handle all these technicalities just isn't enough. The sooner you get a lawyer, the smoother the ball rolls. A lawyer (especially ours, abounding with skill and experience) will swiftly sort through the formalities of your case. As soon as you get a lawyer, they will immediately start working on a strong case for you. If you wait too long, you may end up suffering a sub-par case. On the other hand, the other party may be cooking up a stronger case while you're waiting around, wondering whether you should bother with an attorney. The longer you wait, the higher the chances are some paperwork essential to the case goes missing. Some people will try to claim that there's no use in hiring a builders lien lawyer, since you can just do it all yourself. If we haven't already proved that kind of statement to be absolutely asinine, here's the icing on the cake: most articles about builders liens aren't accurate. For example, a lot of people think that builders liens don't apply to architects (spoiler alert: they do). Fiction: Even if you wait too long to file your lien, you can still claim unjust enrichment on a quantum meruit basis. Fact: It's incredibly rare that courts find cases of unjust enrichment. Fiction: The holdback account needs to be jointly in the name of the owner and the contractor. Fact: Just because Section 5(1)(c) of the Builders Lien Act says that the account must be made together, it does not imply that they must form a joint account. Doubt they'd want to, honestly. Fiction: You cannot file a lien against the land or estate of the Crown. Fact: If the land is registered in the Land Title Office, you can file a lien against it albeit a different process when it comes to liening mines and minerals which includes oil and gas wells, which we have done one numerous occasions. Not only are we aware of these complications, but we understand them thoroughly and can apply them to a wide variety of cases. A builders lien lawyer isn't just useful, it's often necessary. To file a lien, you can't just provide the address where you did the work. That's not going to cut it. For good reason, the protocol for builders liens is extremely strict. the total amount being claimed for the lien. To spice things up, the "total amount" you can claim isn't so straightforward. You need a lawyer you can trust to handle these things, as they quickly pile up and evolve monstrously. In case you were sick of hearing all the nonsense surrounding builders liens, here's another example to add to the confusion. Even for those of Canadian law firms, pretty much every website messes up how holdbacks work. In the event that a contractor or supplier enforces a lien on their property, the owner doesn't break their bank trying to pay it off because they have the holdback. It's repeated over and over that 10% of the work value is the amount that the owner retains as insurance that the work will be completed. The 10% comes out of whichever is greater: the value of the work or material provided in the improvement, or the amount of any payment made on account of the contract price. Also, the Act doesn't prevent holdbacks over 10%. There is also a Minor Lien and Fund and a Major Lien fund, which often gets over looked. The particulars about value and payback as far as holdbacks go aren't clear on the surface, so an established builders lien lawyer can help you set up perfect contracts. It's been shown that Canadian businesses are the least mindful of preventative legal action than their global neighbours. The best businesses worldwide, whether small firms or humongous corporations, ensure they have access to substantial protection long before any trouble gets involved. If you're stuck with a lousy client, hiring a lawyer will take precious time that could be used towards bettering your chances of claiming a lien. On top of that, having a lawyer around is pleasant. It means no more contracts or complexities, no more law research, and no more dull headaches. If you're at risk of major financial losses on account of a client's irresponsibility, a lawyer can help minimise the damages. Just because time is short doesn't mean it's too late. The most important thing is that you take action and honestly present your case. In most cases, you can resolve an initial dispute via negotiation with the involved parties. But when there's a stirring in the pot, it'll do you no good to try to handle it on your own, since a simple a mistake can nullify your lien entirely. Let's say, again, you try to do all the filing on your own. You messed up the description of the land, and so now the lien attaches to a different property. Fun! Under the Act, you're now liable for "costs and damages incurred of any estate or interest in the land as a result of the wrongful filing of the claim of lien." If you don't follow the certain procedures outlined by the Act at any point, your lien will be terminated. We have a stellar reputation of providing services of the utmost quality. We've been eminent players in the realm of construction law, putting in years of experience towards filing and enforcing builders liens - protecting both owners and contractors, working hard for our clients to both advance and defend claims in civil court. On one hand, you can risk losing even more money handling it yourself, or you can get an experienced civil lawyer to do it for you. Probably the best thing about having a builders lien lawyer around is that you never have to turn to Google about legal issues anymore. 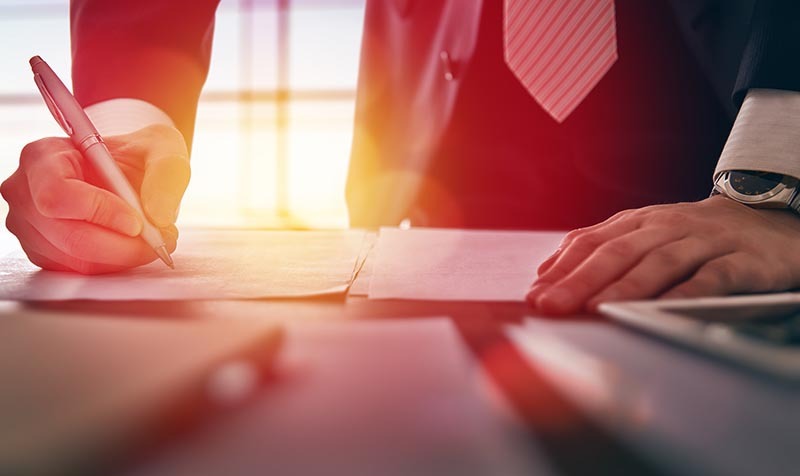 Whether it's about a personal uncertainty, a contract detail, or a major real estate decision, a good lawyer will provide thorough, simple answers to any question you may have and can come up with a strategy to advance your interests or minimize any liability to you. Not sure you're asking for a bona fide lien amount or holdback rate? Need to find out whether there's a builders lien on a property before you start construction on it? How do you properly file your Statement of Claim or lis pendens? Or even, how can you best negotiate with your business partner to avoid enforcing a lien? These are all very serious questions whose answers largely depend on the circumstances of your business. Rather than racking your brain over the hundreds of variables that affect each and every decision, why not let a professional do it instead? If you're running around searching for help in the final hour of a crucial deadline, you'll end up paying way more than you should have. On top of that, nothing will cost you more than hiring an inexperienced lawyer. efficient. We know that, as a businessperson, your demands are extremely urgent. understanding. Always be truthful with us. We maintain a policy of honesty and hard work to ensure your business in good hands. knowledgeable. Our team of highly dedicated professionals are sharp as a tack, with a track record of experience and excellent research. reputed. We don't need to talk to the talk. We walk a long line of amazing clients who recommend our services above all others. articulate. Not only can we break down any legal question you may have, our lawyers are seriously persuasive having spent many 1000s of hours in courtrooms all across Alberta. friendly. We're never prone to frustration with our clients. flexible. No matter the complexity of the situation at hand, we will apply ourselves wholeheartedly to your well-being. It's clear that the Alberta legislation regarding builders liens will make you want to pull your hair out. Luckily, we are hear to help. Don't hesitate to get in touch. Give us a call or drop us a message, you will be happy you did. This entry was posted in builders lien lawyer by verhaeghelaw. Bookmark the permalink.